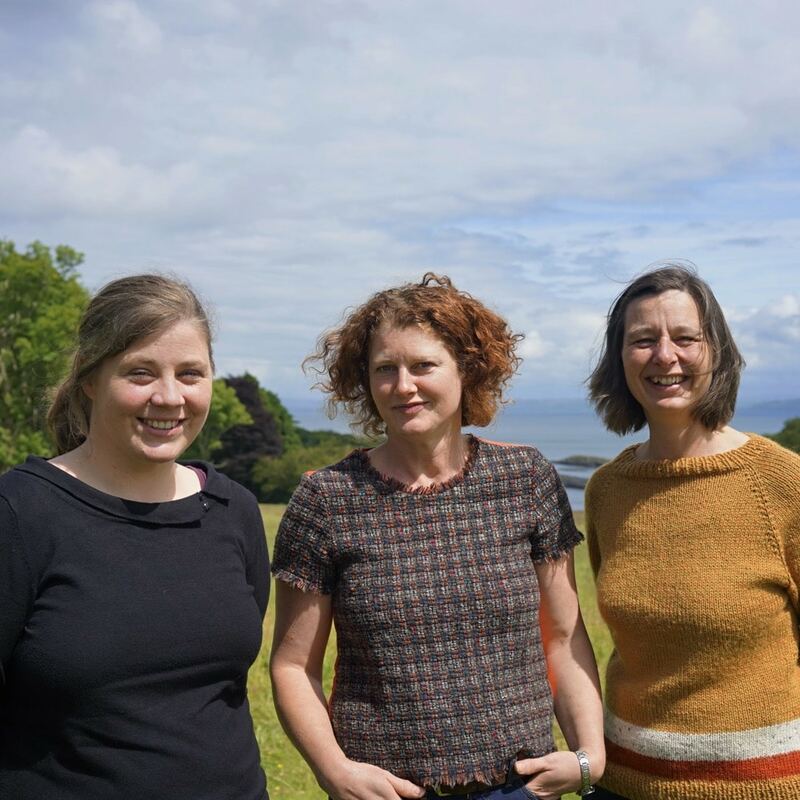 Lussa are three women – Alicia MacInnes, Claire Fletcher & Georgina Kitching – who live at the north end of the Isle of Jura off the west coast of Scotland. Jura has a population of just 200 people, with one shop, one road, one pub, a primary school and village hall and its west coast is uninhabited other than the community of rare wild life that includes wild red deer, golden eagles, sea eagles, otters, dolphins and hen harriers! 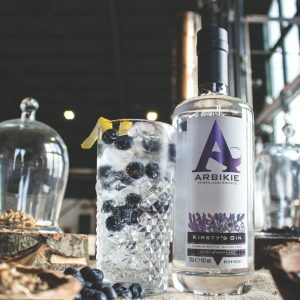 In the summer of 2016, Alicia, Claire and Georgina got together to create a gin that reflected their love of the island , the Lussa Glen where they all live and their love of the plants that grow there. Lussa Gin was born. 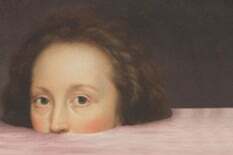 Lussa use 15 botanicals that they grow or forage themselves on the island and spring water from the Lussa Glen. They grow roses, lemon balm and ground elder and also forage for sea lettuce, bog myrtle, watermint, elderflower, Scots pine, honeysuckle, lime flowers and rosehips. 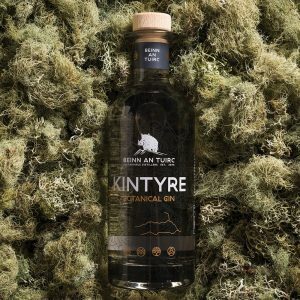 After juniper (which grows wild on the island) and coriander, the other main ingredient is lemon thyme which they grow in their own polytunnels and source from the local community – often in exchange for Lussa gin! 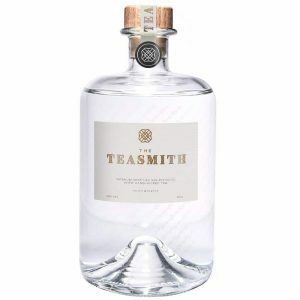 They make their very special micro batch gin in a small 10 litre copper still using the fresh botanicals they grow and collect. Their water comes from a spring, filtered through rock, high in the Lussa Glen. Lussa distil, bottle and label by hand in batches of less than 300 and each bottle is finished with a tweed collar. The tweed comes from Ardlussa Estate and is made on the neighbouring island at the Islay Woollen Mill. 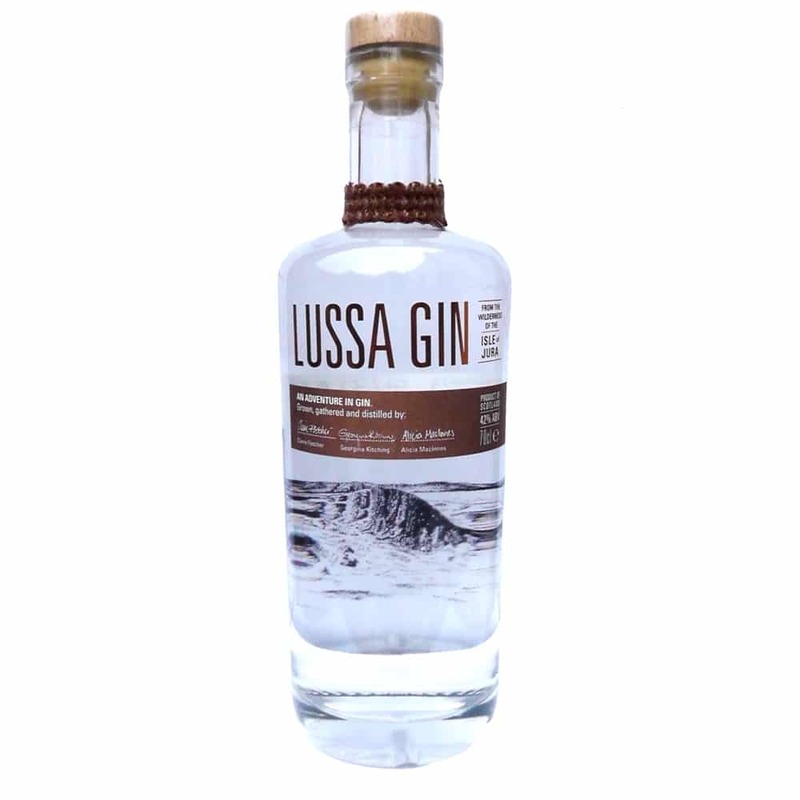 Lussa Gin has a complex flavour with fresh and zingy lemon thyme, balanced with the pine notes of juniper, a touch of warmth from coriander seed all bound together with the smoothness of roses. Perfect Serve: A good quality neutral tonic and a frozen lemon wedge, plus a sprig of lemon thyme or lemon balm if you can source it. Enjoy! *Delivery of our craft gin products currently only available to UK addresses. 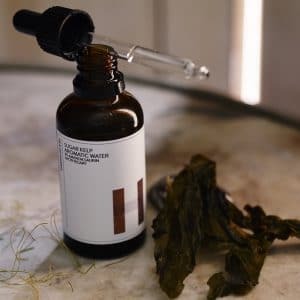 Due to Lussa's remote location on the Isle of Jura combined with the small batch nature of their production please allow 7-14 days for delivery. Lussa are three women – Alicia MacInnes, Claire Fletcher & Georgina Kitching – who live at the north end of the Isle of Jura off the west coast of Scotland. 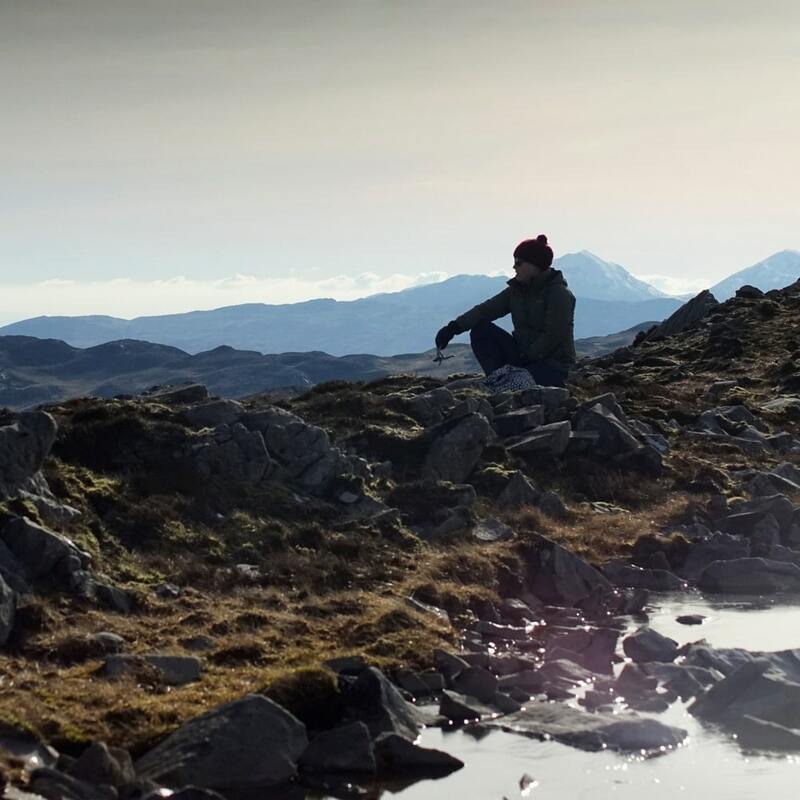 Jura has a population of just 200 people, with one shop, one road, one pub, a primary school and village hall and its west coast is uninhabited other than the community of rare wild life that includes wild red deer, golden eagles, sea eagles, otters, dolphins and hen harriers! 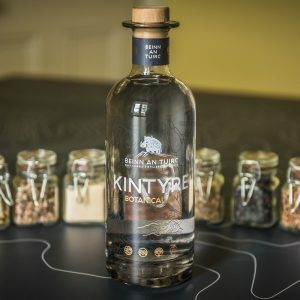 In the summer of 2016, Alicia, Claire and Georgina got together to create a gin that reflected their love of the island , the Lussa Glen where they all live and their love of the plants that grow there. Lussa Gin was born. 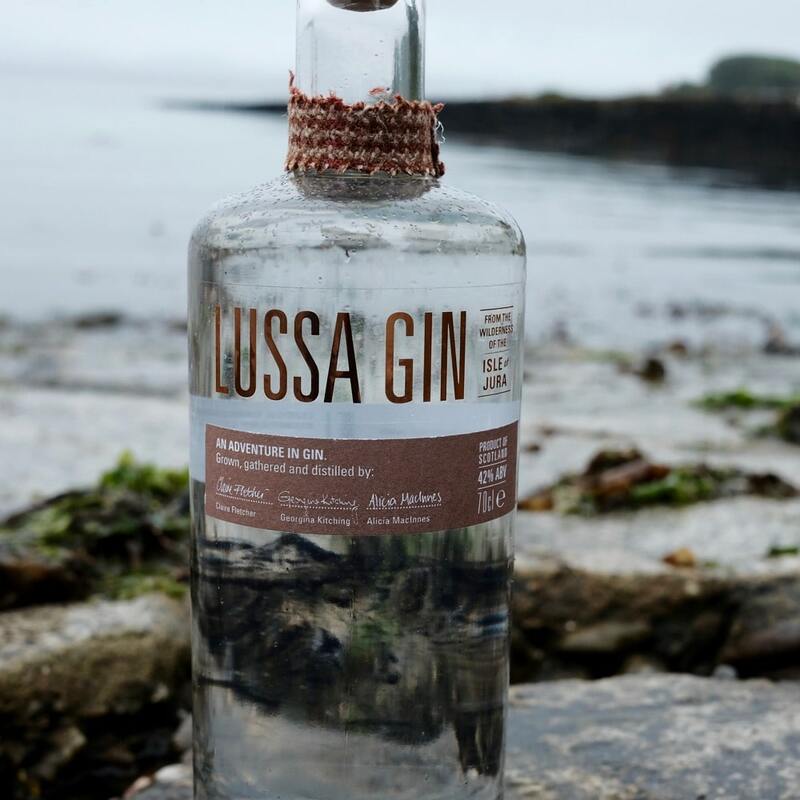 Lussa use 15 botanicals that they grow or forage themselves on the island and spring water from the Lussa Glen. They grow roses, lemon balm and ground elder and also forage for sea lettuce, bog myrtle, watermint, elderflower, Scots pine, honeysuckle, lime flowers and rosehips. After juniper (which grows wild on the island) and coriander, the other main ingredient is lemon thyme which they grow in their own polytunnels and source from the local community – often in exchange for Lussa gin! 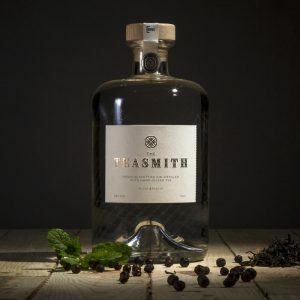 They make their very special micro batch gin in a small 10 litre copper still using the fresh botanicals they grow and collect. Their water comes from a spring, filtered through rock, high in the Lussa Glen. Lussa distil, bottle and label by hand in batches of less than 300 and each bottle is finished with a tweed collar. 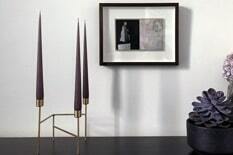 The tweed comes from Ardlussa Estate and is made on the neighbouring island at the Islay Woollen Mill. Lussa Gin has a complex flavour with fresh and zingy lemon thyme, balanced with the pine notes of juniper, a touch of warmth from coriander seed all bound together with the smoothness of roses. 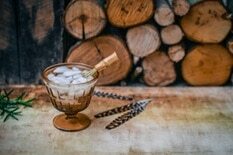 Perfect Serve: A good quality neutral tonic (Walter Gregors tonic is recommended) and a frozen lemon wedge, plus a sprig of lemon thyme or lemon balm if you can source it. Enjoy!